That desire to go home is one of the common triggers for wandering for individuals with Alzheimer’s disease. They often don’t realize they are home, so they are on a quest to try to get there. Delusions or hallucinations. Individuals with Alzheimer’s disease can misinterpret sights and sounds. Caregiver Evelynn says her mother wakes up in the middle of the night, insisting that someone is in the house and intent on doing her wrong. “I had to put an extra lock on the front door because she wakes up at night or from a nap in her chair and believes someone is at the door or on the porch, and she needs to let them in,” Evelynn noted. As Evelynn found, sometimes safety features are needed in a home to ensure a loved one stays safe. Overstimulation. Individuals with Alzheimer’s disease can become easily upset when in a noisy and crowded environment. If that happens, they may try to escape from the chaos and wander. Avoid large, noisy places. Look for restaurants with quiet areas. Discourage big parties and family gatherings, or find a quiet room for your loved one to sit, then invite guests in to visit one at a time. Fatigue, particularly during late afternoons and evenings. The later in the day, the more tired an individual with Alzheimer’s disease can become. This may lead to restless pacing back and forth, noted Monica Moreno, director of Early-Stage Initiatives for the Alzheimer’s Association. Activities and exercises during those times of the day can calm an individual and help to minimize the triggers for wandering. Disorientation to place and time. Like Dan’s wife in the real-life example above, individuals with Alzheimer’s disease may not recognize they are already home. Avoid busy places that can cause confusion. Refrain from correcting the individual, and reassure the person he or she is safe. If the individual is feeling anxious, agitated or restless, take that person for a walk. Change in routine and unmet needs. Lydia had just moved to a long-term care community. Confused about leaving her familiar home, Lydia was found wandering in her new environment in an effort to make her way back to the place from which she was most familiar. 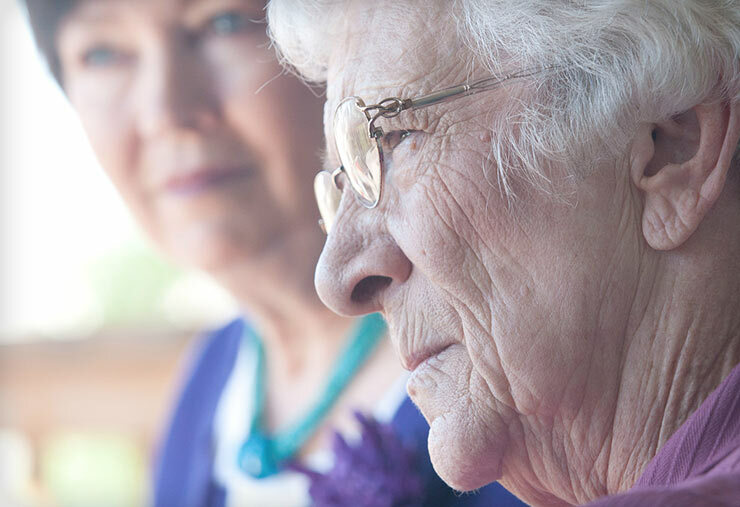 Reassure the individual with Alzheimer’s disease that she is not lost or abandoned. And put safety features in place to keep that person safe. Establish a regular routine. Those who have Alzheimer’s disease do better in a structured environment. Because unmet needs also can trigger wandering, make it a practice to suggest a loved one go to the bathroom after a meal. My husband has alzheimers and I am looking for a way to take him out once in awhile without losing him. Is there some type of something that he can wear that if he wanders to far from me an alarm will go off? If not, this would be a great idea. If your husband is agreeable, try just holding his hand. I tell my husband something like “I love being with you so much. Let’s hold hands like when we were young.” Of course holding his hand won’t work if you have to let go of it, but I’ve found making it romantic works very well and he’s quite happy to comply. You could try wearing matching shirts if he’s okay with that. That way, if he did wander you could ask people if they’d seen someone with the same shirt you are wearing. Try getting a simple cell phone from AT&T or some other company that has an app on it for locating lost kids or adults. You can set alarms so that if he is outside a certain perimeter from the house then it will send you alerts to your cell phone. Hope this is helpful. We have purchased a tracking device from Safetracks that has been put into one of my fathers coats. Since he has Dimentia he is not always aware of his surroundings and does leave to go back to his home of 32 years. The device lets us know when he has left his safe area and it will track where he is. With the cold and snow of the winter months this has been a great tool for all of us. Dan’s wifes mind could be back in her childhood days. And the home she is in, isn’t the one she remembers from her childhood.